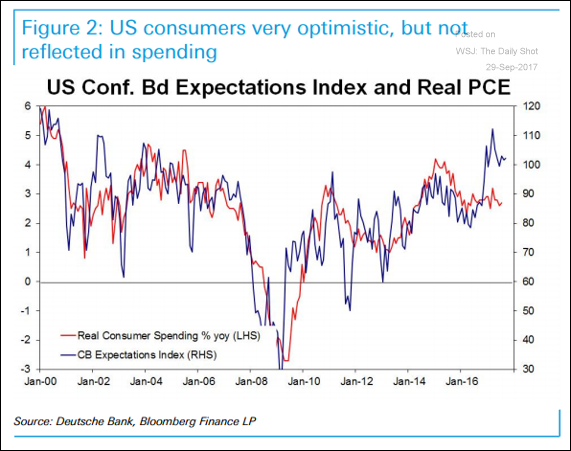 The United States: Here is a chart comparing consumer confidence (expectations) and real consumer spending. 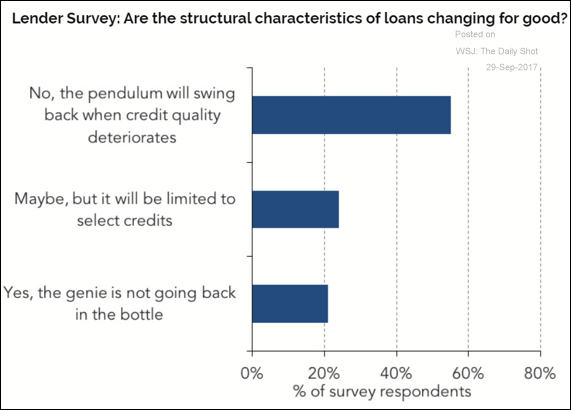 Credit: Are the loose structural characteristics of the leveraged loan market here to stay? 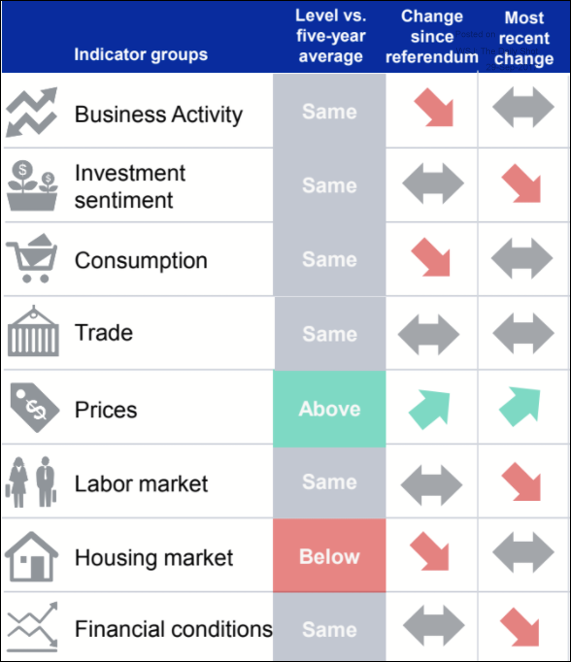 The United Kingdom: Here is a dashboard of what happened to the economy since the vote and more recently. 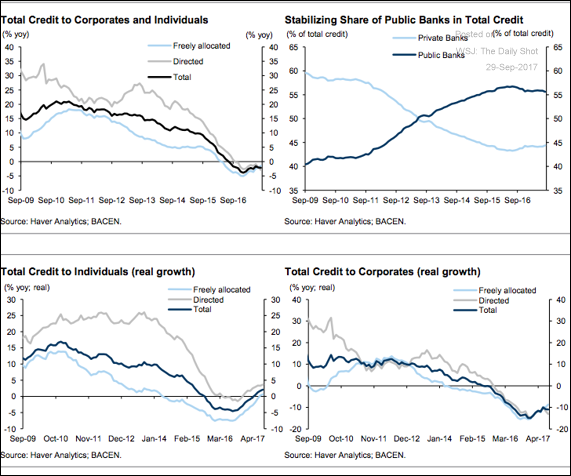 Emerging Markets: Brazil is still struggling with the private sector credit crunch, but there are signs of improvement. The Eurozone: It’s becoming increasingly likely that the ECB will announce a QE tapering program next month or shortly after. Here is why. 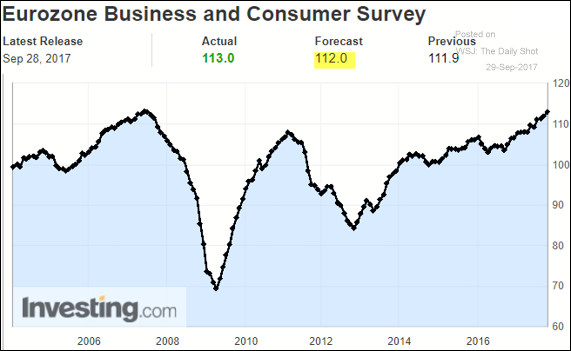 Consumer and business confidence is at multiyear highs. 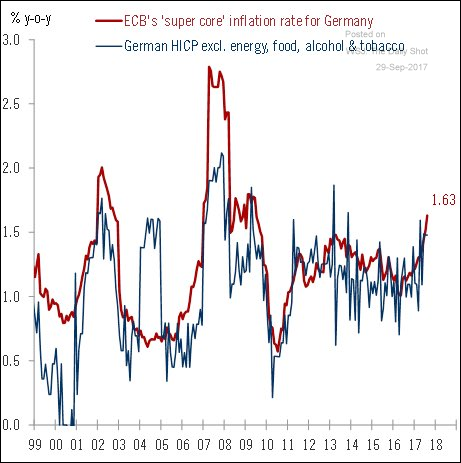 German “super core” CPI (excluding the volatile components of the index) is climbing. 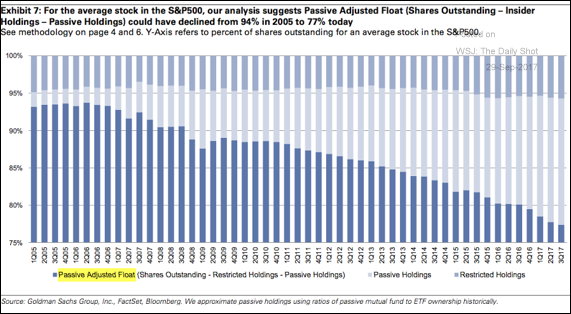 Equity Markets: Finally, when investors look at the float of a particular stock, they should be adjusting for the shares “trapped” inside passive funds/ETFs. 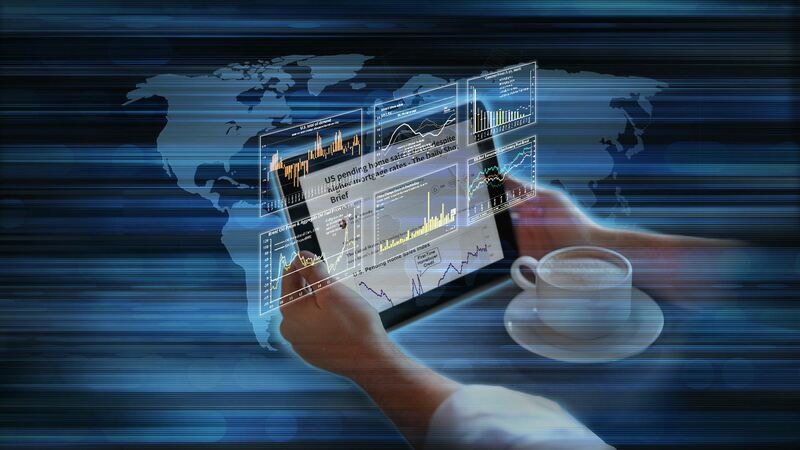 The trapped amount is less likely to follow the company’s fundamentals as it “blows in the wind” of index trading. 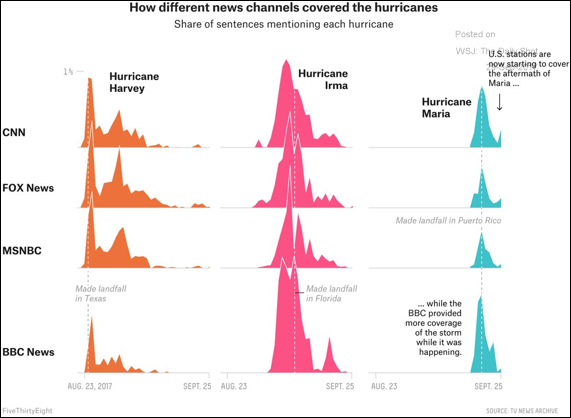 Food for Thought: Media coverage of the three major hurricanes.